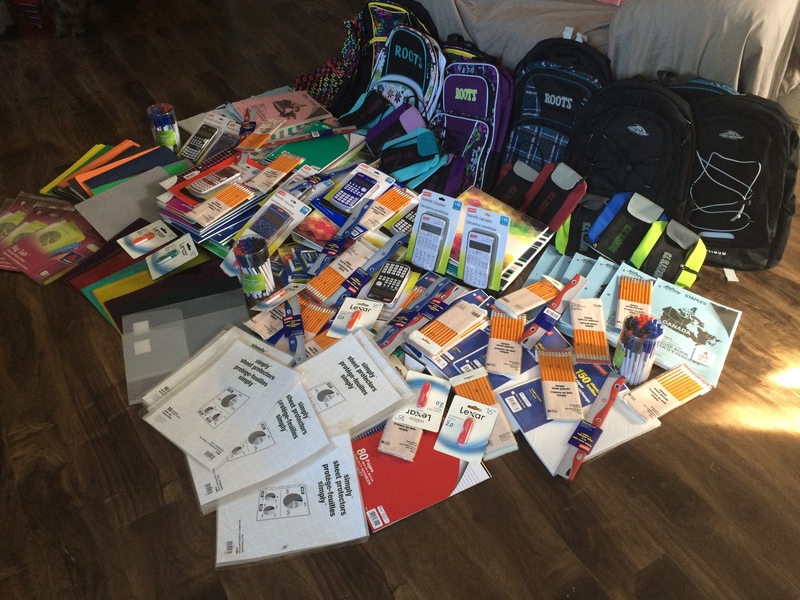 The Olivia Jollota Memorial Trust is so pleased to be able to donate 10 backpacks chock full of all the school supplies a high school student could possibly want for back-to-school! 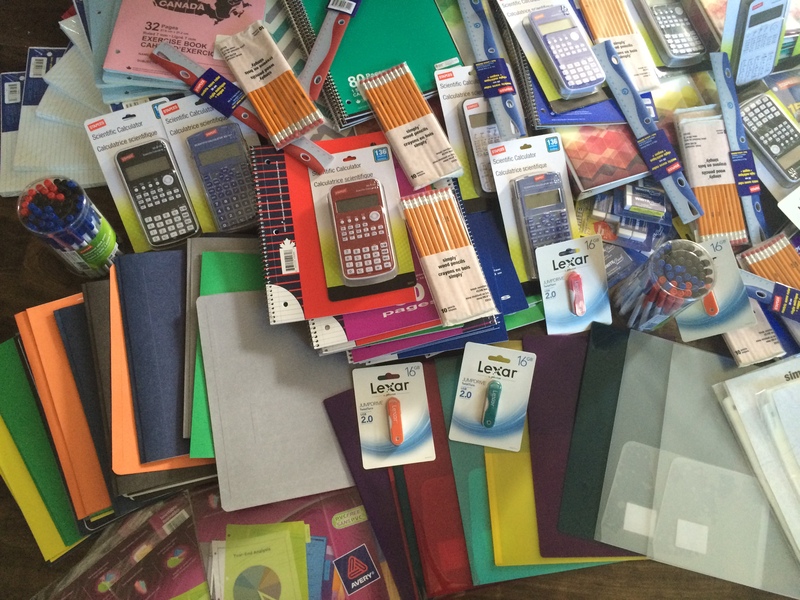 This is our second year making a back-to-school donation for underprivileged kids. We know Olivia would be so pleased to see the impact her Trust is making in our community! Nicole and I had such a great time picking out the school supplies all the while thinking of the supplies Olivia would have wanted for back-to-school. Without generous donations from our wonderful supporters and some fantastic fundraising events this type of giving back would not be possible. 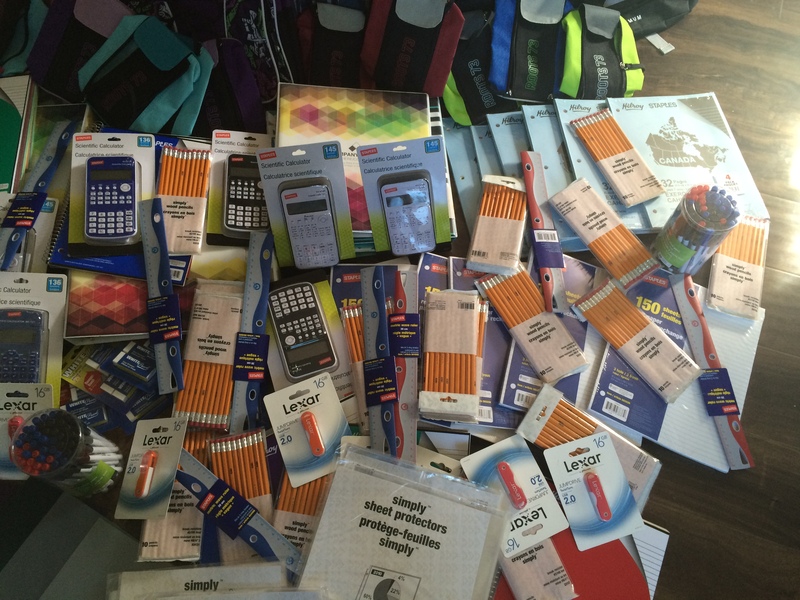 A special thanks to Staples and Giant Tiger for their great prices and sales which helped us donate so much than last year! 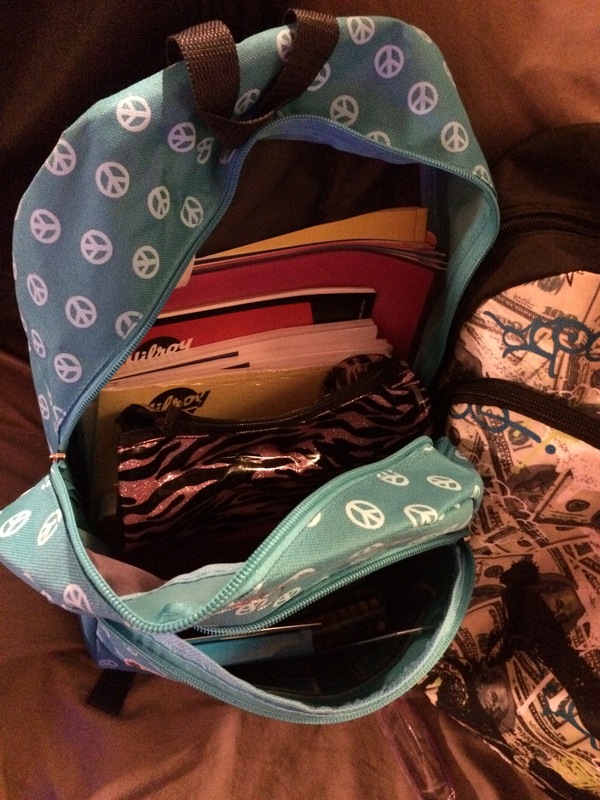 Backpacks, pencil cases, binders, spiral notebooks, paper, page dividers, report covers, duo-tangs, rulers, pens, pencils, erasers, jump drives and scientific calculators! Binders, spiral notebooks, paper, page dividers, report covers, duo-tangs, rulers, pens, pencils, erasers, jump drives and scientific calculators! 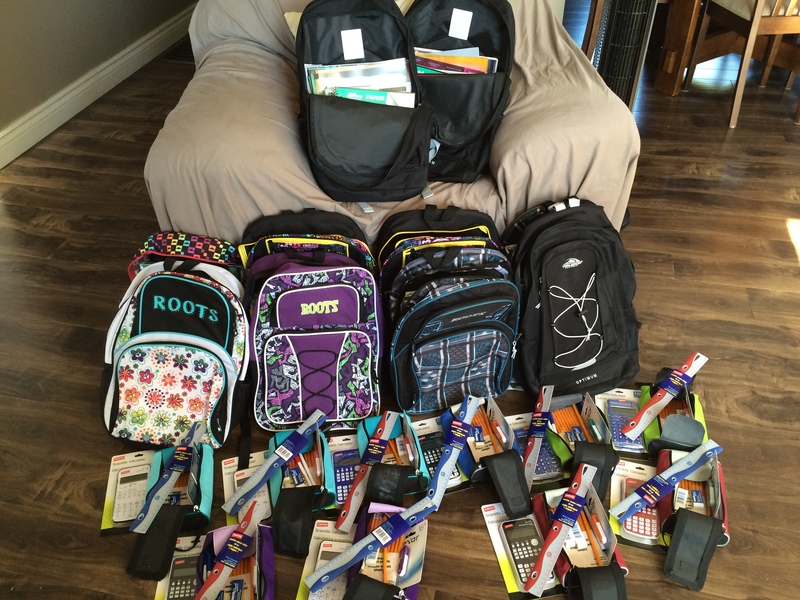 Backpacks and pencil cases filled with all the back-to-school goodies! It is almost that magical time of year again! Back-to-school is just around the corner and many parents/guardians are trying to fulfill their child’s wish list of back-to-school items. The cost associated with such purchases can be daunting for families that can afford to keep up with all the items that the schools now request but can you imagine if you couldn’t afford it – any of it? How heart-breaking that must be for the parent and the child? This is why Olivia would want to help! Olivia loved school and loved back-to-school shopping even more! So, last year we donated hundreds of dollars worth of back-to-school items to the Parker Street Food and Furniture Bank. This year we want to donate even more and want to know if any of you have suggestions on organizations that will be collecting items to help out less fortunate families in our community. Please let us know by leaving a comment on this post or by contacting us through our Face Book “Like” page at the Olivia Jollota Memorial Trust. Thank you in advance for your suggestions!! !